Attacking the Election Commission, Kejriwal pointed out how the poll body was converted by the BJP into one of its party offices. 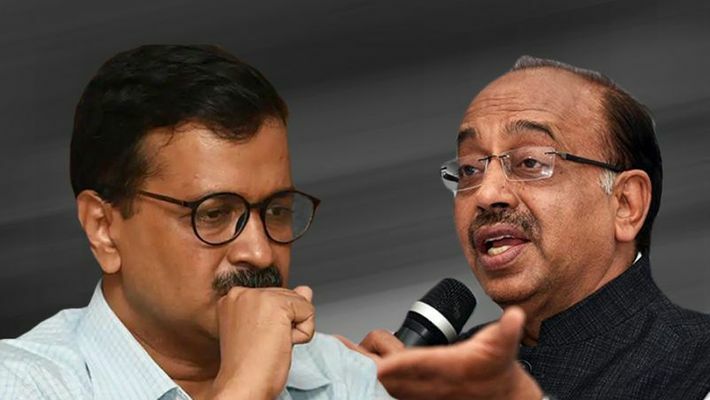 New Delhi: The BJP on Sunday demanded the resignation of chief minister Arvind Kejriwal after Delhi’s Chief Electoral Officer (CEC) issued a press statement asking the police to intervene over misleading the Delhi citizens over their names being deleted from the voters’ list. Kejriwal claimed that a list of 24 lakh deleted names was given to his party by the Election Commission. A furious Kejriwal also added that his government had found some deletions wrong on inquiry. Kejriwal's tweet read, “EC gave AAP list of 24 lakh names deleted in Del. 1. Del govt enqries in some deletions found them wrong?Why EC protecting those officers? On Sunday, Delhi’s CEC asked the Delhi police commissioner to intervene and take action. He took a strong view of AAP workers allegedly phoning potential voters to inform them about the deletion of their names from the voters’ list.